Please contact the below POC’s for additional information regarding Osan Air Base access, exhibition costs and participation either as an attendee or as an table top exhibitor. For a list of recommended hotels please check out our recommendations for locations and price here. Bringing Command, Control, Communications, Computers, and Intelligence experts together. The 3rd annual 2018 AFCEA Mustang Chapter “C4I Day” Conference scheduled for March 14&15, 2018 at the Officer’s Club “Mustang” Ballroom at Osan Air Base, South Korea. The purpose of this conference is to provide a forum to bring government and industry together to openly communicate commercial best business practices and government implementations of Command, Control, Communications, Computers, and Intelligence (C4I). This conference will be a significant learning experience for Network Enterprise Center, personnel, Information Management Officers, Information Assurance Managers and Cyber Security Experts. This two-day “table-top” conference is being sponsored by the Osan “Mustang” Chapter of the Armed Forces Communications and Electronics Association (AFCEA) and is open to all active duty US and ROK military personnel, Gov’t civilians and invited contractors stationed at Osan AB or within the Republic of Korea. Industry Partners will provide the latest in technology products, solutions and on-site presentations on the latest technology and solutions. Additional Industry Training can be available and be provided and is FREE to US, ROK Active Duty, Gov’t Civilians, Invited USFK Contractors and CAC holders. This event will be advertised Korea wide and all military and civilian professionals from cyber, communications and intelligence career fields are welcome and encouraged to attend. COL Wardle is currently the 8th Army Assistant Chief of Staff for G6. 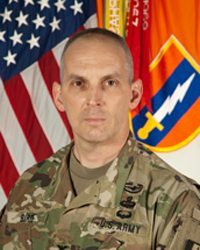 COL Wardle took command in July of 2016. As the G6, he supports the Commander of 8A by advising on information technology functions as well as network, communications, and signal operations. This includes advising on the impact of communications security, force structure, equipping, and employment of network, communications, and signal capabilities in support of 8A operations. 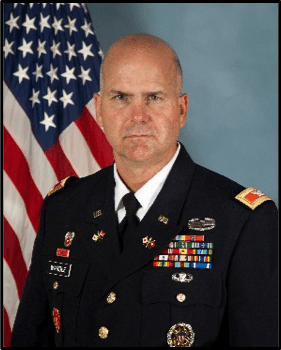 Prior to assuming command in Korea, COL Wardle completed graduate studies at the U.S. Army War College in 2016. COL Scott Bird was commissioned into the Signal Corps as a Second Lieutenant in 1993 upon graduating from Monmouth College in Monmouth Illinois. After completion of the Signal Officer’s Basic Course he was assigned to 35th Signal Brigade (Airborne) at Fort Bragg, North Carolina. There he served in the 327th Signal Battalion (Airborne) as a Platoon Leader for a Single Channel Radio and Extension Switch Platoon, a Mobil Subscriber Equipment Node Center Platoon, and a Tri-Tac Node and Message Switch Platoon, and as the Battalion’s Assistant Operations Officer. While at Fort Bragg, COL Bird also deployed to Bosnia as the Signal Officer for the 229th Attack Aviation Regiment (Airborne) as part of Operation JOINT GUARD.